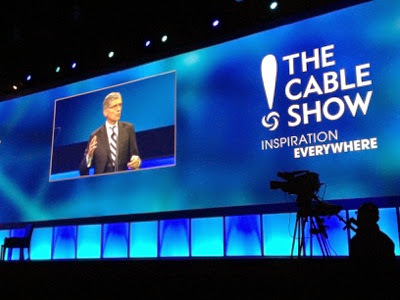 (Los Angeles, CA) The Chairman of the Federal Communications Commission (FCC) Tom Wheeler today urged the cable industry to get moving on the implementation of the cybersecurity framework released by the National Institute of Standards and Technology (NIST) earlier this year. Speaking at the National Cable and Telecommunications Association (NCTA) annual conference here, Wheeler said that broadband networks are at a critical cybersecurity juncture and that the "more we learn about the challenges of cybersecurity and the costs of failure, the more apparent the importance of addressing it with best efforts, including yours." Pointing to the work of the Communications, Security, Reliability and Interoperability Council (CSRIC) of the FCC, Wheeler said that the outcome of the industry-led CISRIC should be done "in such a way that those charged with oversight across the regulatory tapestry, recognize and understand the accepted cyber risk." CISRIC is leveraging the NIST framework for its work and "over the course of the year we will need to see this translate into actual implementation," he said. "We’re intending this to be a new regulatory paradigm, and we’re giving you the opportunity to write it. I urge you to step up, so we don’t have to." Although both the telecom and cable industries have embraced the NIST framework, many communications sector representatives have expressed fear that the voluntary nature of the framework could become mandatory at the Commission over time. The FCC offered no further information on Wheeler's speech to the cable attendees, instead pointing to archived video of the last CISRIC meeting for more context. The big news out of Wheeler's speech was his further clarification on where he is headed with the FCC's upcoming net neutrality rulemaking. Leaked outlines of the controversial regulatory action have stirred public interest advocates and Silicon Valley companies to decry what they perceive to be forthcoming FCC-sanctioned creation of pay-for-play "fast lanes" on the Internet, whereby broadband providers (with cable companies serving as the "principal" broadband providers in the U.S.) can charge content and application providers more for quicker delivery to end Internet users. In impassioned tones, Wheeler rejected the idea that the FCC would effectively kill net neutrality by sanctioning the creation of Internet fast lanes. "Any new rule will assure an open pathway that is sufficiently robust to enable consumers to access the content, services and applications they demand and innovators and edge providers the ability to offer new products and services," he said. Wheeler, who headed the NCTA himself thirty years ago, rebutted charges that as a former cable lobbyist he is predisposed to do the industry a favor in the net neutrality debate. "Now, as Chairman of the FCC, I do not intend to allow innovation to be strangled by the manipulation of the most important network of our time, the Internet."